Although I’ve been keeping up with daily Inktober illustrations, I have sadly been very bad at posting them daily on social media- so here we go! 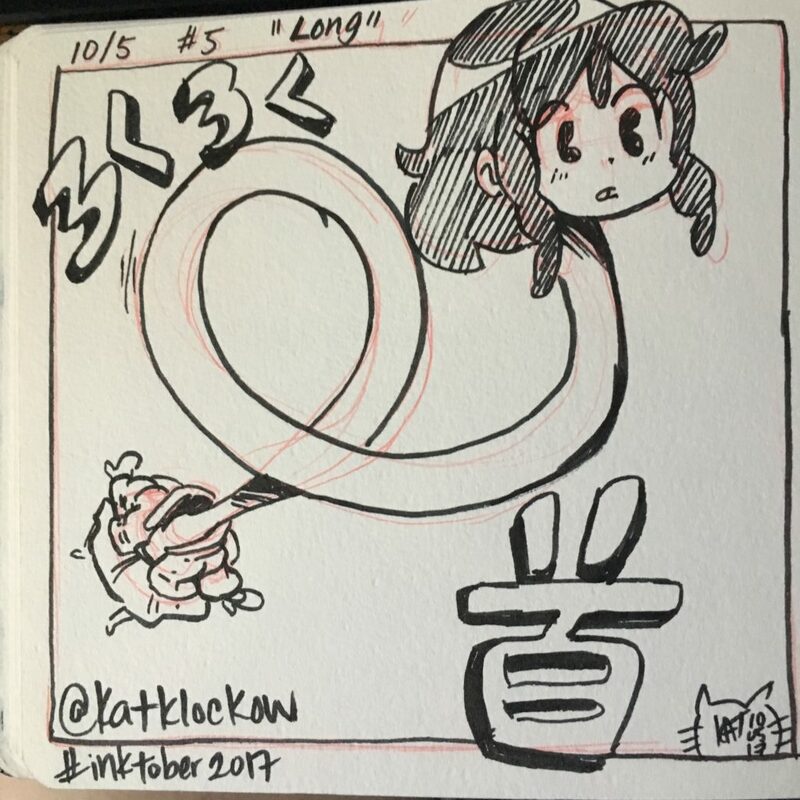 October 5th’s topic was “Long,” so keeping up wiht the monster theme I went with the female yokai (monster) known as Rokurokubi, or the long-necked woman. Like many yokai in Japanese mythology, Rokurokubi just like to spook humans by enlongating their necks or having their heads fly off their shoulders and chase unsuspecting humans. 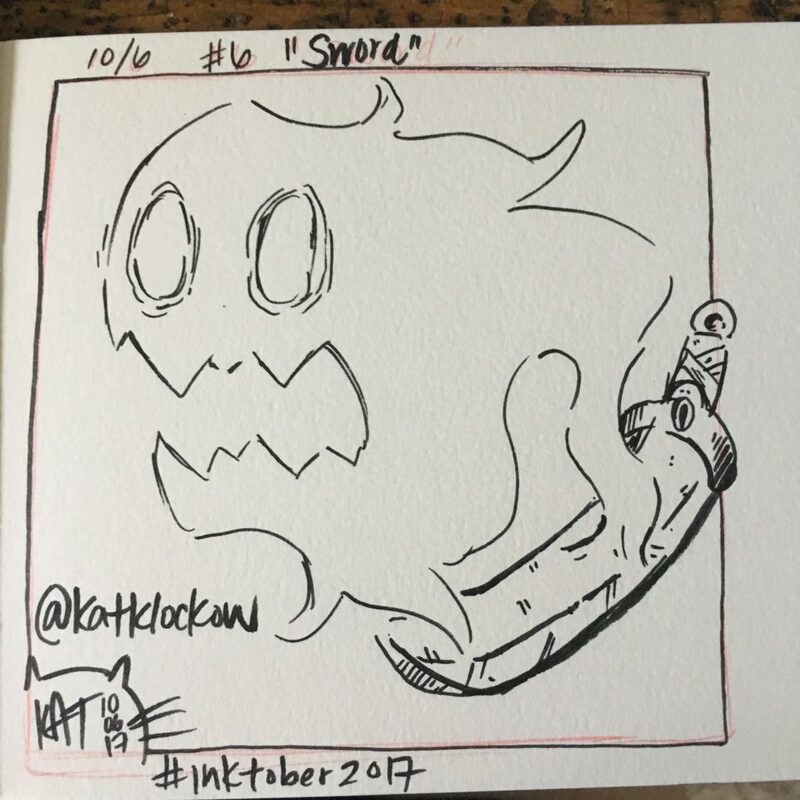 October 6th’s topic was “Sword,” and man, this was a difficult one to draw for a monster topic. I could have sworn that I had come across a haunted sword in past literature, but sadly couldn’t find anything when searching yesterday. I ended up doing another Japanese yokai, this time a Tsukumogami of a sword. Feel as if this is cheating though, tsukumogami are said to be inanimate objects that have reached 100 years old or older and thus gain a soul and become haunted. There is a huge long list of tsukumogami, anything from umbrellas to tea pots and shamisens. I’m thinking that I’ve done enough Japanese monsters so far, and will turn to drawing some other folklore in the coming days.